In lieu of an easy way towards Taiwanese citizenship, the APRC is the next best thing. Many foreigners who have received their Alien Permanent Resident Card describe the feeling as cathartic, a moment of great relief. At the time they get it they have lived in Taiwan for quite a long time and maybe have had to endure annual trips to immigration offices or perhaps expensive visa runs to Hong Kong or elsewhere. Once they get their hands on the APRC they feel they can relax. They can now work anywhere they want, they don’t need to renew the visa and they can go through the citizen booth at the airport. Bonuses all around. But applying for the APRC is not easy, the process of obtaining all the documents from your home country etc is a long and sometimes frustrating journey. There are a lot of hoops to jump through to get an APRC. We tried to rewrite the government content to make it more understandable. In this article, we will cover all things required to apply for your APRC. Any foreigner who has been living in Taiwan for at least 183 days per year for five consecutive years. If you are a spouse or child of an R.O.C. national and has spent at least 183 days per year for five consecutive years in Taiwan. If you have spent 183 days per year in the country for five years within a minimum period of ten consecutive years. The number of days required to stay in Taiwan before applying for permanent residency excludes the time-period when the applicant has stayed in Taiwan as a student or foreign laborer. The APRC application must be submitted within two years after the period of stay and residence meets the requirement. The English name used in all documents should be the same as that shown in the passport. One copy of the application form. One 2-inch front view photo without wearing a hat. It is the same specification as for the Identification card or Alien Resident Certificate (ARC). It has to have a plain white background. Your ARC. The original one for examination and one A4 size copy. Entry and Exit Record Certificate, Eligibility Form for the required years of residence and physical presence in the Taiwan area, and the calculation of the applicant’s physical presence in Taiwan Areas each year. These 3 certificates are all available at your local National Immigration Agency (NIA) service center. For the Taiwan 5 year CCRD apply at the Foreign Affairs Division in your city’s police office. (For example, If you live in Taipei, go to the Taipei City Police Department.) The CCRD is valid for 3 months only, starting from the DATE OF ISSUE. For your home country, apply for a 5 year CCRD from the central law enforcement institution in your home country. For example, the Federal Bureau of Investigation of the United States. It is only valid for 6 months, starting from the DATE OF ISSUE of the document. Apply for original and Chinese translated edition of the police records issued by your home country. The records have to be verified by the oversea Taiwanese embassies (or by the Ministry of Foreign Affairs if needed). If you can’t get a Chinese translation of the records in your home country, you can also translate it in Taiwan and ask a local R.O.C. district court or a Notary Public Office to verify the Chinese translation. Ask your home country’s oversea embassies in Taiwan if it is possible for them to issue the police records. The original must be verified by the Ministry of Foreign Affairs in Republic of China (Taiwan). The Chinese translated version of CCRD must be notarized by a local R.O.C. district court or a Notary Public Office. You need to get a Health certificate to show you are not carrying anything dangerous to Taiwan. You must use the form called “Items Required for Health Certificate (Type B)” issued by the Department of Health of the Executive Yuan. It is valid for 3 months starting from the Date of Issue. List of Hospitals the Taiwan Health Certificate. Certificates of financial assets or special skills and talents. Certificate issued by the ROC government certifying that its holder is a professional, technician or has passed a technical examination. Other document that is sufficient to prove that the applicant is capable of supporting himself/herself and make a living. You need to have earned an average monthly income in Taiwan for the past one year that is twice as much as the Monthly Minimum Wage set by the Council of Labor Affairs. If you are applying in 2014, that means the average income per month in 2013 has to be over NT$38,094. Starting July 1, 2014, the average monthly income should be over NT$38,546. Having a certificate for movable or immovable property in Taiwan with a total estimated value of over NT$5,000,000. Having a certificate issued by the ROC government certifying that you are a professional, technician or has passed a technical examination. One of the documents or certificates (for missionary or investment APRC applicants): domestic income, tax statement, real estate, movable property or special skills mentioned above. Copy of Certificate of Profit Seeking Enterprise. Amended Company Registration Card (please apply for it at your local County/City Government). Investment approval from Investment Commission, Ministry of Economic Affairs. Word of warning. An alien PERMANENT resident certificate is great to have but actually, it is not really permanent. 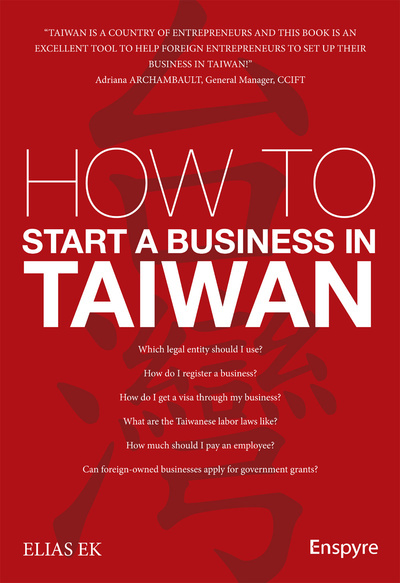 After you get it you must stay in Taiwan for at least 183 days per year or you will lose it. You can apply for exemptions for up to 2 years if you need to leave for studies, medical treatment etc. For APRC applications of Senior Professionals and Investment Immigrants (The Plum Blossom Card,) the information from NIA is here, or contact Claire at Ezpermit.